Don't worry. Be happy. Keep learning. : Chicken Florentine Pasta. Recently I've been on a Pioneer Woman kick. I find her neat to watch and her recipes seem, for the most part, simple and easy. On one of the shows I watched last month, she made chicken florentine pasta and I knew I had to try it! I had a friend coming over and it sounded perfect! Plus it gave me a reason to finally use my wok [that we received as a wedding gift, uh, over a year ago]. For Pioneer Woman's step by step visit here. 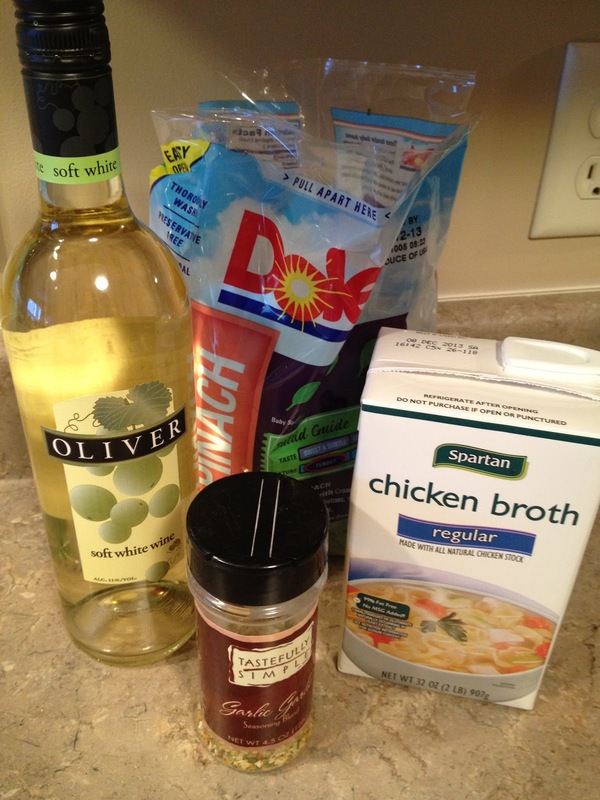 But for my less than Pioneer Woman step by step keep reading. 1. Cook pasta according to package directions in lightly salted water. Drain and set aside. 2. 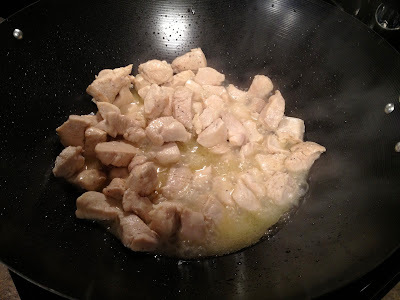 Cut chicken breasts into chunks and sprinkle on salt and pepper. 3. Heat butter and olive oil over high heat in a large skillet. 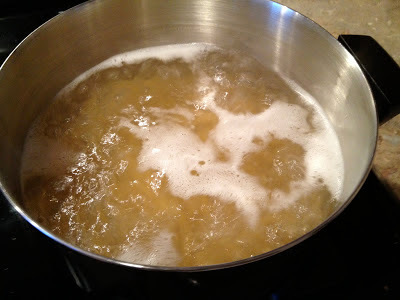 Add chicken chunks in a single layer and do not stir for a minute or two in order to allow the chicken to brown on the first side. Turn the chicken and brown on the other side. Cook until done, then remove chicken from the skillet. 5. Turn off the heat. 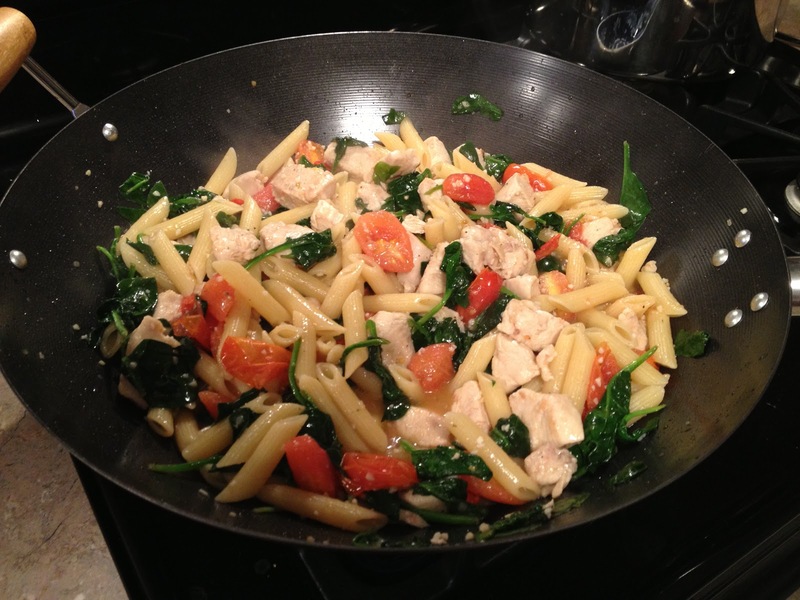 Add spinach, tomatoes, chicken, and cooked pasta to the skillet. Toss to combine; the spinach will wilt as you toss everything. Add plenty of Parmesan shavings and toss to combine. 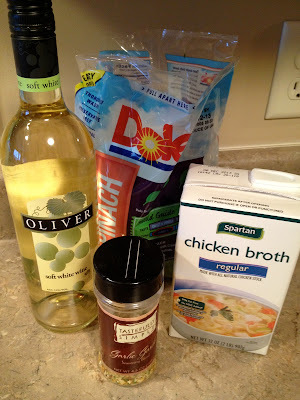 My notes: Next time I will let the wine cook longer, only because while eating the meal I could still taste the wine - OR I'll use double the broth like she suggests. Otherwise, this was really good! I love spinach and I love pasta and I love chicken so this was bound to be a winner. at 1:11 PM Topics: Blog., Recipes. Ice Cream in a bag. Never lose an outlet plug.